Patients who suffer heart attacks, or flare-ups of congestive heart failure, can be cared for in a variety of hospital locations. But a new study suggests that they’ll fare worse in hospitals that rely heavily on their intensive care units to care for patients like them. In fact, depending on where they go, they may be half as likely to get certain proven tests and treatments – and less likely to survive a month after their hospital stay. The findings add to growing evidence that the use of ICU beds in America varies widely. But for the first time in heart care, the study shows that hospitals that send the highest percentage of their patients to the ICU perform worst on measures of health care quality. This suggests that more standardization in deciding which patients need an ICU, and more focus on quality of care in hospitals with the highest ICU use, could benefit patients nationwide, according to the authors of the new paper published online in the journal CHEST. First author Thomas Valley, M.D., M.Sc., and his colleagues at the University of Michigan Medical School made the findings by looking at Medicare records from more than 570,000 hospital stays that took place in 2010. 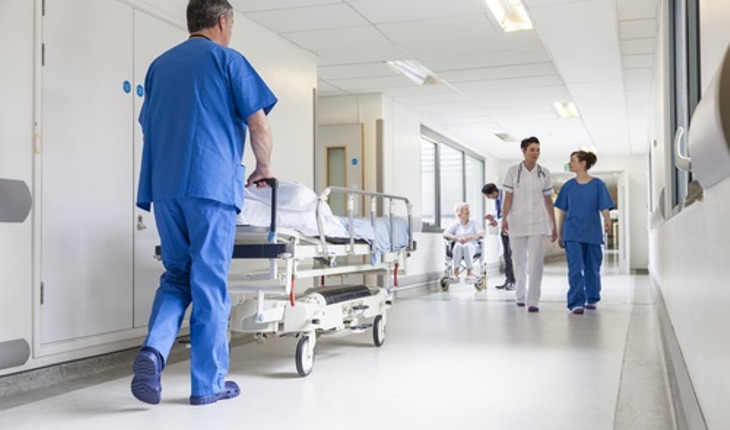 Of the more than 150,000 hospitalizations at nearly 1,700 hospitals for acute myocardial infarction, or heart attack, 46 percent included care in an ICU. A lower, but still sizable, 16 percent of the more than 400,000 hospitalizations for heart failure also included an ICU stay, at one of 2,199 hospitals. Valley and his colleagues used the federal government’s Hospital Compare website, which publicly reports hospital performance, to examine how well each hospital did at providing high-quality care, and what percentage of their patients died or ended up back in the hospital within a month of the hospital stay. They divided all the hospitals into five groups, from lowest ICU use to highest. The new results show that hospitals with the highest percentage of patients admitted to the ICU tended to be those with the smallest numbers of heart attack and heart failure patients over all, perhaps suggesting a lack of familiarity with these conditions. They were also more likely to be for-profit hospitals. Patients treated in them were more likely to be from low-income ZIP codes. While overall quality of care tended to be good and the differences in evidence-based care were relatively small, it still meant tens of thousands of patients received suboptimal care.